Siemplify, the leading Security Orchestration and Automation provider, today announced that it has concluded 2017 with record growth and unprecedented global demand for its award-winning ThreatNexus platform. Leading enterprises and MSSPs leverage Siemplify as their SOC Workbench, tripling analyst productivity by automating repetitive tasks and bringing together disparate security technologies. Siemplify provides a holistic Security Operations Platform that empowers security analysts to work smarter and respond faster. 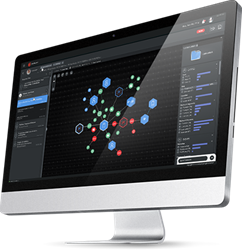 Siemplify uniquely combines security orchestration and automation with patented contextual investigation and case management to deliver intuitive, consistent and measurable security operations processes. Leading enterprises and MSSPs leverage Siemplify as their SOC Workbench, tripling analyst productivity by automating repetitive tasks and bringing together disparate security technologies. Founded by Israeli Defense Force security operations experts, Siemplify is headquartered in New York with offices in Tel-Aviv. Visit http://www.siemplify.co for more information. *Gartner, “Innovation Insight for Security Orchestration, Automation and Response,” Claudio Neiva et al, 30 November 2017.